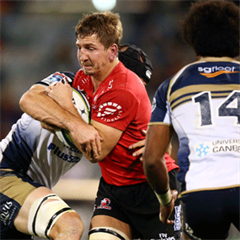 Cape Town - The hearing date for SANZAR’s appeal against the decision to rescind Frans Steyn’s red card has been postponed until next week. 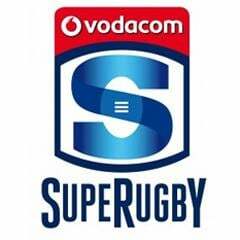 The Sharks centre was sent off after performing a tip-tackle on Chiefs flyhalf Aaron Cruden in their Super Rugby clash in Durban last Saturday. Steyn was cited following the game, but was then found not guilty at a subsequent hearing, with the red card expunged from his record. However, SANZAR felt justice was not served and appealed the decision on Wednesday. The initial date for the appeal was set for Friday, but has now been extended until next Tuesday. A statement made by SANZAR on Thursday read: “A preliminary hearing was held on 26 March at 09:00 (SA time) in relation to the appeal by SANZAR with respect to the Judicial Officer's decision for the hearing regarding Francois Steyn's red card. “The Appeals Committee directed that written submissions be made and a timetable for these was set. In addition, because of the unavailability of all parties to proceed on the provisional date of the hearing, a new time has been set for Tuesday, March 31 at 08:00 (SA time), which was the first available time and date convenient to all parties. This means Steyn will be free to play for the Sharks in their Super Rugby clash against the Force at Kings Park on Saturday (17:05 kick-off).